The alternative music world has been celebrating quite a few 10-year anniversaries lately. 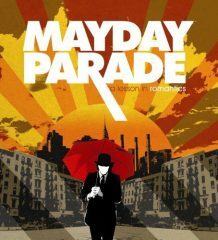 The fact so many bands have been together for 10 years is exciting in itself, but what’s even more exciting is how those bands are celebrating a decade of making music. 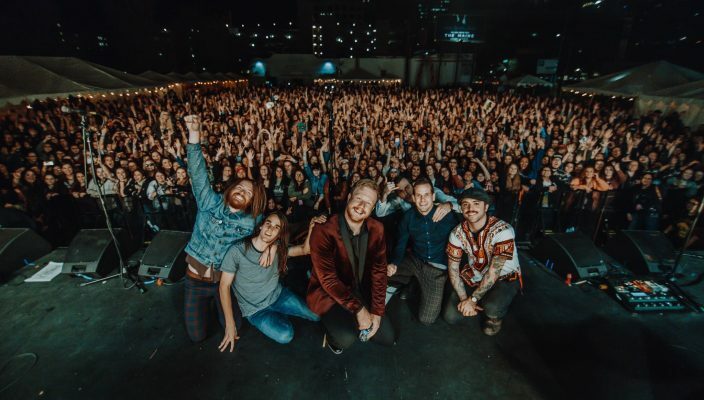 It is common for bands to release an anniversary edition of an album, or hit the road for a 10-year anniversary tour, but Phoenix-based alternative pop-punk band, The Maine, decided to celebrate their 10-year birthday in a way that exceeded anyone’s expectations. On Sept. 15, The Maine announced that they would be hosting an entire music festival to celebrate their 10 years together. The festival was called the 8123 Fest. 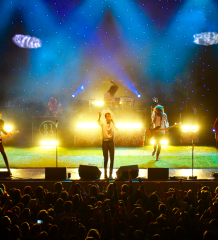 8123 is the name given to the family-like fan base The Maine has created over the last decade. When the band first got together 10 years ago, the building in which they would spend a lot of their time together had the street address “8123” and since then it has been a permanent and very important term in the world of The Maine. 8123 Fest took place last weekend in Phoenix at the Crescent Ballroom Outdoors. In addition to The Maine, other performers included The Summer Set and artists from the 8123 label. In the months leading up to 8123 Fest, The Maine had also been working on their sixth album. The band had traveled to a cozy cabin in the woods on the Northern California coast to finish writing and recording the new album. In a fashion very true to The Maine, they were extremely transparent during the recording process, creating a short film series titled “Miserable Youth” that documented a large portion of the band’s work while in California. The Maine have always prided themselves on the family they feel they have created with their music, and have stated that they wanted to make the eight-part series so their fans, their extended family, could be a part of the journey to album six. Along with the release of “Bad Behavior” it was revealed that the title of the new album is “Lovely Little Lonely.” In addition, the group announced that they will be going on a world tour this spring for the album. With so much going on in the 8123 world, the excitement for the festival was outrageous. 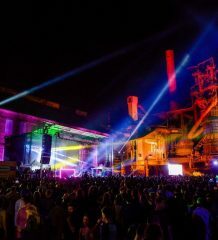 For those who attended the festival, it was like nothing ever experienced before, and for the band it was a monumental point in their lives as musicians. Band members expressed that there were no words truly accurate enough to describe the love and gratitude they felt for the 8123 family after the festival. Ten years of music is great, but 10 years of family is even better, and 10 years of The Maine is the most beautiful combination of both. Lovely Little Lonely will be released on April 7 and the “Lovely Little Lonely” world tour will begin on March 3 in the US. Tickets can be purchased at wearethemaine.net. I love seeing The maine in the spring/summer so i really can't wait to see them on 4/28 in Boston!